MIXTER Curved on flat 106-0111 140mm (5.1/2..
FICKLING ORAL 106-0125 106-0126 106-0127 180mm (7.. TUBING CLAMP Heavy pattern. 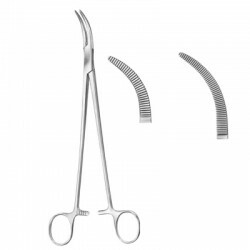 wedge jaw 106-0122 150mm (6..
SCHNIDT TONSIL 106-0131 180mm (7..
NEGUS TONSIL 106-0132 180mm (7..